When is it coming out, though? We NEED to know. 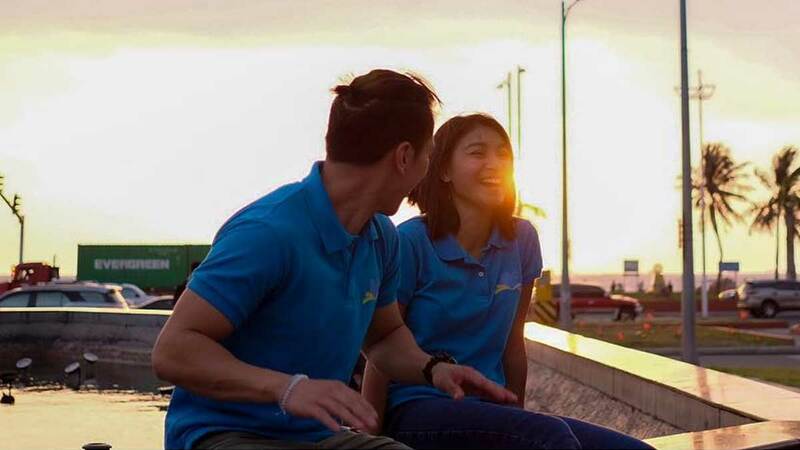 As we all know, Carlo Aquino and Nadine Lustre are set to star in the upcoming movie Ulan. There's no denying that everyone's excited to see Carlo as a ~college student~ named Peter, and it came to a point where some students recreated one of the photo stills from the movie. And Ulan doesn't even have a release date yet! During an interview with ABS-CBN, Nadine said that working with Carlo has been a great experience. "I love working with him. He's super chill lang. And then wala kaming awkward na moments na both of us parang nag in-sync na lang kami bigla, which is really surprising for me because that's the first time that ever happened because sina Direk Irene [VIllamor] and Carlo close na rin sila so it's not hard for me to talk to Carlo as well." According to Nadine, they're about to finish shooting the movie, with only a few scenes left. "We have a few days left but it is so much fun. Shooting the movie, I had fun working with Direk Irene, it is just a breath of fresh air."